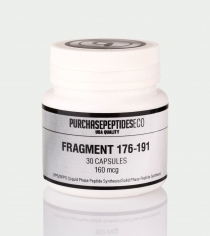 This peptide leads to acceleration of injury healing, strengthening ligaments and blood vessels and supporting heart muscle. In medicine, it is used to accelerate the healing of wounds associated with various diseases, as well as for myocardium recovery after infarction and for treatment of ischemic conditions. 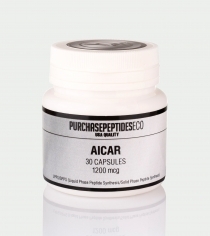 Aicar directly affects the metabolism, which helps to burn fats, and very strongly increases endurance. Taking Aicar you will perform your physical training quickly and efficiently. 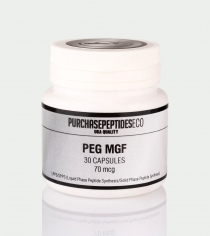 Peg MGF helps to increase lean muscle mass due to the activation of muscle stem cells during tissue injury. The muscle growth is carried out due to hyperplasia and hypertrophy. CJC-1295 without DAC affects the pituitary cells and the amount of the growth hormone, which they may produce. 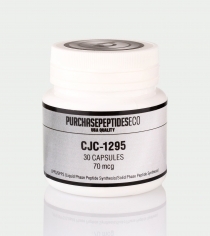 CJC-1295 affects the body similar to the growth hormone: increases energy, improves sleep quality, improves metabolism, improves skin health and affects the muscle growth. The drug is used to build up lean muscle mass and improve strength and endurance. 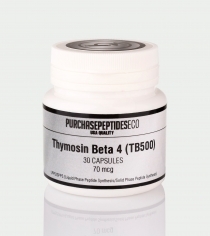 It’s especially popular among bodybuilders in preparation for competitions, when it is necessary to preserve muscle mass as much as possible, reduce fat deposits and maximize muscle prominence. This is a highly effective drug for fat burning. You can see a significant result in two weeks after use. HGH Frag 176-191 accelerates metabolism, allows you to quickly achieve muscle prominence, strengthens bones, and slows the aging processes. Growth Hormone Releasing Peptide 2 is the most potent stimulator for the growth hormone (somatotropic hormone) production due to the stimulation of the pituitary gland and the hypothalamus. The level of the growth hormone increases in both adults and children and in elderly people as well. Numerous studies have shown that GHRP-2 stimulate the pituitary gland leading to 7-15 times increased secretion of the growth hormone. © 2010-2018 PurchasepeptidesEco Pharmaceuticals, Inc. All Right Reserved.